It has the potential to be deadly. It can destroy lives and cause unending emotional pain. Most people are horrified when they learn the statistics, but over 69 percent of drivers have actually done it themselves. And those who make a living through a commercial trucker job are not immune to it. “It” is distracted driving and it is one of the most important topics for any driver. To begin, we should understand exactly what distracted driving is (and isn’t). According to the National Highway Traffic Safety Administration (NHTSA), distracted driving is not just texting or using a cell phone.The NHTSA defines it as “any activity that could divert a person’s attention away from the primary task of driving.” It’s any activity that takes the driver’s attention off the road and puts that driver, the passengers, and everyone else sharing the road, at serious risk. This includes texting, cell phone use, eating and drinking, reading (including maps), using navigation systems, adjusting a radio/CD player, and more. However, because text messaging and Smartphone use requires visual, manual, and cognitive attention from the driver, it is by far the most alarming distraction. The danger is deadly serious. 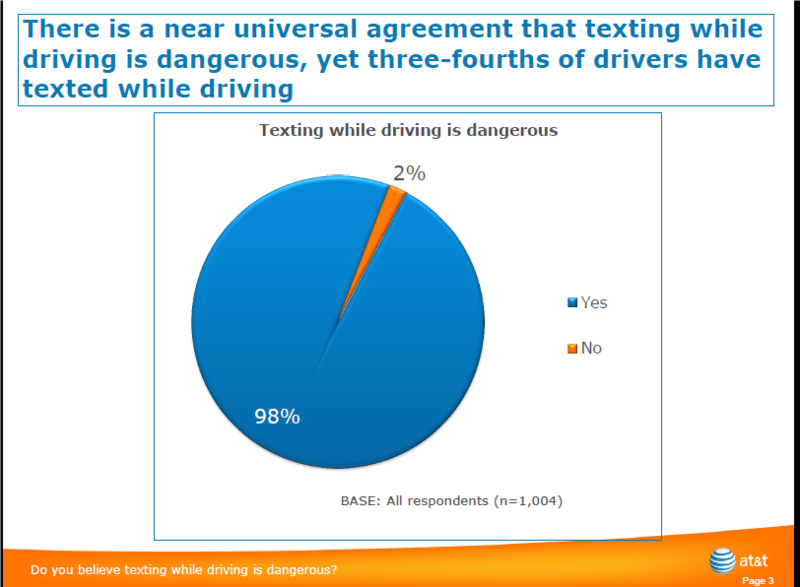 Texting while driving increases the risk of a crash by two times over non-distracted driving. Even hands-free cell phone use is associated with a greater crash risk. It’s not just the talking, it’s the reaching and dialing that proves hazardous. With more than 40,000 deaths, 2016 was the deadliest year on the road in a decade. While drunk driving and higher speed limits are factors in the number of recorded accidents, texting while driving and voice activated systems are contributing exponentially to the increased danger. Many states handle the topic of distracted driving differently - Florida is notable in cracking down on its enforcement regarding distracted driving. Meanwhile, other states such as California have strict rules about phone usage, amending their policies frequently in order to keep in line with public safety. Data suggests that approximately 5,000 people in passenger vehicles die every year in automotive accidents involving semi-trucks. Additionally, about 700 individuals in the semi-trucks die each year in these crashes. A trucking job relies on communication by cell phone or text message for efficiency. The technology is used for a variety of reasons including weather conditions, road emergency situations, as well as communication to dispatchers and delivery points. Most people do not know that sending or receiving a text message distracts a driver for an estimated five seconds. At highway speeds, that represents a distance of about 300 feet in which the vehicle is out of control, and even longer with a tractor-trailer, regardless if it is carrying a full load. Young, rookie CMV truck drivers may be the most dangerous.These drivers who take on a truck driving job early in their career represent a generation that grew up on electronic devices. They may be overconfident about using them on the highway. Researchers speculate inexperienced drivers are the most likely to overestimate their ability to multitask and stay focused on the road at the same time. The Federal Motor Carrier Safety Administration (FMCSA) banned commercial truck and bus drivers from texting while driving in 2010 and later banned all hand-held cell phone use by commercial drivers as well. This ban now includes texting defined by the FMCSA as “manually entering text into, or reading text from, an electronic device. 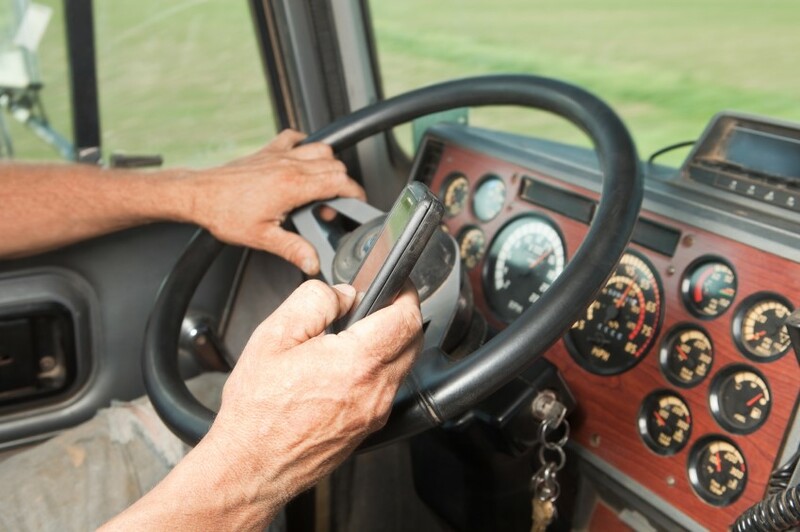 Although truckers may require the use of their electronic devices for communication, the FMCSA designed the regulations to address issues specific to the truck driving industry to discourage even reaching for or holding a mobile phone. And in February 2011, the Pipeline and Hazardous Materials Safety Administration (PHMSA) banned texting on electronic devices by drivers operating a motor vehicle containing hazardous materials, in conjunction with the FMCSA ban. These laws were put into place to try to avoid the potential for catastrophic results and unending emotional distress that distracted driving by drivers of commercial motor vehicles can cause. Many believe truckers may be more prone to distraction due to the long hours they spend behind the wheel combined with the mental and physical exhaustion they often experience. No matter how many horrifying the statistics quoted and no matter how many alarming stories are told, prevention must be emphasized. After examining many of the critical issues related to distracted driving among commercial truck drivers both inside and outside the cab compartment, the Department of Transportation made several important recommendations to reduce distraction and increase safety. Educate: Drivers must understand the dangers of routine distractions such as reaching for sunglasses, adjusting a mirror, or looking at a map. Even the slightest glance away from the road can prove dangerous. Stop Manual Distractions: There is serious danger whenever a driver moves their hands away from controlling the vehicle such as reaching for a soda, inserting a CD or grabbing an item that has fallen to the floor. A study found that eating while driving was riskier than talking on a cell phone. A few years back, one driver injured 14 children when he crashed into a school bus while distracted by consuming a soft drink. Drivers must be disciplined to wait or pull over to engage in these distracting activities. It is recommended that operators eat before or after the trip, not while driving. Also, before embarking on the route, store loose gear, possessions and other distractions that could roll around in the car, so there is no temptation to reach for them on the floor or the seat. Devices and Dispatching: In-vehicle devices should be kept to a minimum, discouraging drivers from bringing and using electronic gadgets, even calculators. Using a dispatching device while driving increased a driver’s chances of being involved in a safety-critical event by nine times, so building better dispatching devices must become a priority for the industry. Some progress is being made. Companies have policies in place or lockout features on the dispatching device when the truck is moving. Also, the use of new voice-activated technology is being explored. Electronic Use: Drivers should use dispatching devices only when they are stopped, not while driving and should never manually dial cell phones. A survey found that over 90 percent of drivers recognized the danger from cell phone distractions and found it “unacceptable” that driver’s text or send e-mail while driving. And talking on a cell phone was found to be a threat to safety by 88 percent. Yet 69 percent of licensed drivers reported talking on a cell phone. Voice-activated, hands-free dialing should only be used when calls are absolutely necessary. Pulling to the side of the road is a better option. Billboards: There are other visual distractions that confront drivers of both commercial trucks and passenger cars outside of their vehicles. An estimated 11,000 truck crashes nationwide involved distractions external to the truck cab. Kansas City, MO is one of the major cities that has a great deal of restrictions on what limitations billboards in the city must face. Some safety advocates have raised the possibility that digital roadside billboards cause external diversions from concentrating on the road. These are the free-standing “flashing light and moving” billboards designed to attract attention. They often display different advertising messages every few seconds and are a unique form of distracted driving. Countless studies show that truckers recognize that other drivers are behaving irresponsibly, but they find excuses for their own risky driving behavior. The most effective method to reducing distracted driving by commercial truck drivers is not necessarily monetary fines or passing laws, although these are helpful deterrents. Rather, it is the knowledge of how much devastation their distracted driving can cause, both to themselves and for others. The consequences of a tragic accident far outweigh the need to text or talk on a cell phone. In putting drivers in the position of knowledge, they can change the lives of others. Realizing that distractions on the road have harmful and negative consequences way may cause them to think twice before picking up their smartphone and sending a text or glancing away from the road to dial a phone number. The data behind the popularity of the trend of texting and driving is only expected to get worse. New habits of pulling over to use a cell phone must be reinforced and adopted. This adoption can only be done by a wave of awareness plus a commitment by truck drivers to employ safety at all times. It may seem dramatic to say everything that is distracting can wait - but many believe that it has to. Otherwise, a lifetime of regret and guilt may be in your future.